Mathematician. Working programmer/system developer. Nerd. Married. Father of 3. (the dot looks bigger in the picture than irl). I think it might be the horizontal deflection coil or the circuit driving it. I will at some point try to repair it, I think. Now as for the EPROM-programmer (Sunshine EW-704), it connects to an ISA-slot. 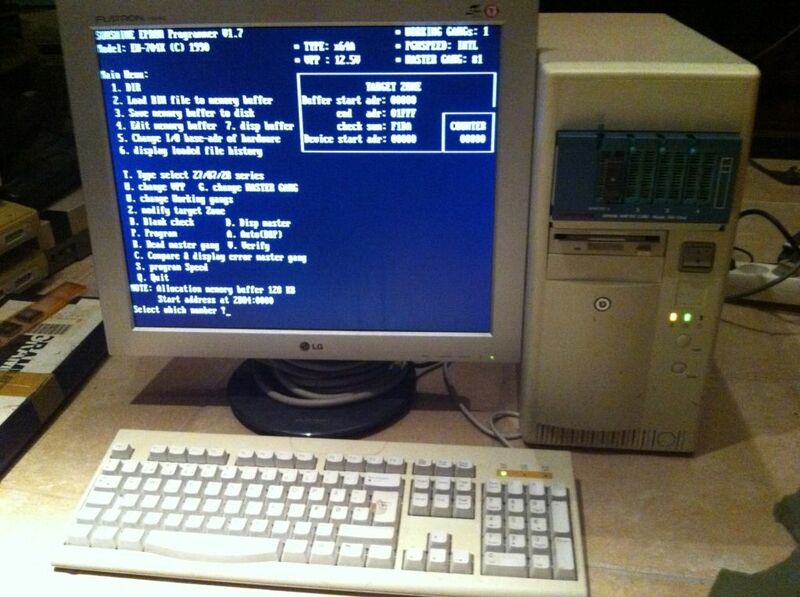 I didn't own any PC with ISA-slots, but Jarl was kind enough to donate me his old 486DX2 as well. 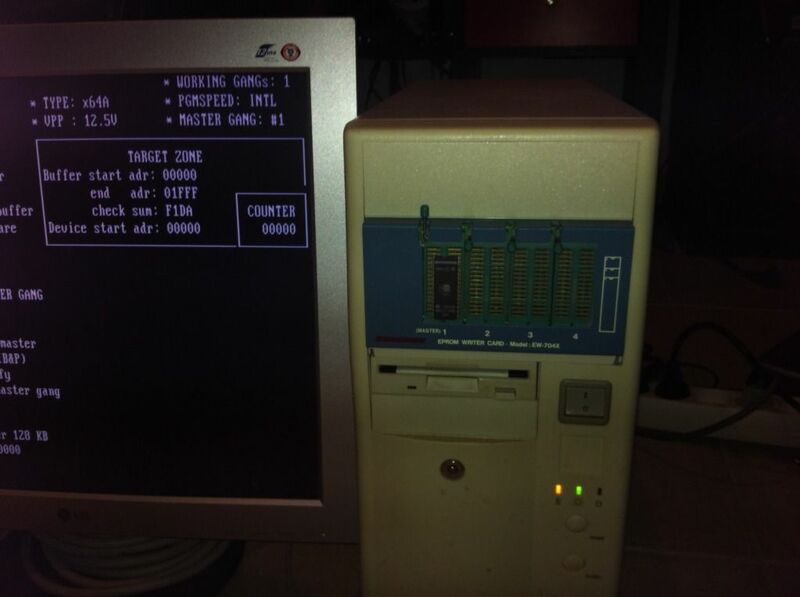 We couldn't get in contact with the hard drive for some reason, but as the software for the programmer is written for DOS and consists of only one exe-file, it fits nicely on a DOS bootdisk. Regarding the EPROM programmer: You can download the latest version (2.1) of the programmer software that was released prior to the closing of Sunshine electronics right here. I suggest you download it because it may have fixed the issue that the software I gave you did work properly when the turbo switch is on (66Mhz) so you have to run in 33Mhz mode. 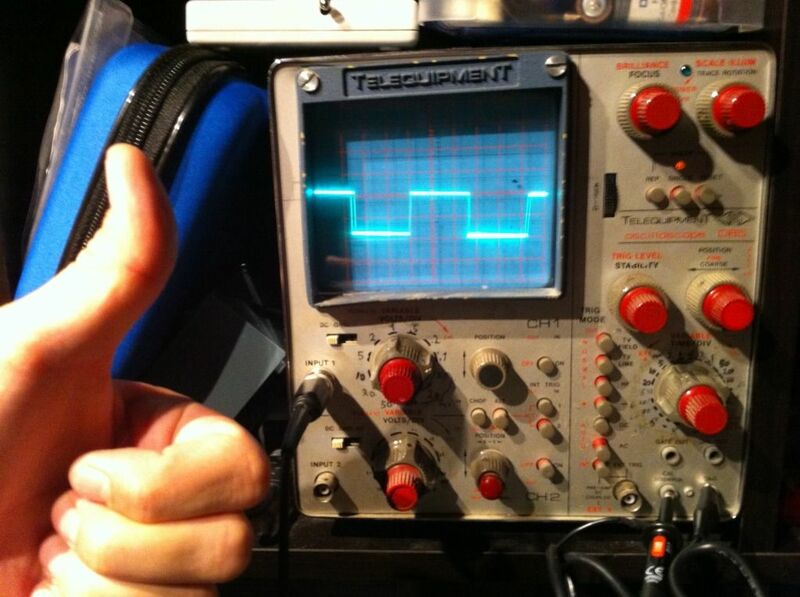 Try the V2.1 of the software and see if it works in 66Mhz mode and let us know if can work in 66Mhz mode. Regarding the scope: You can see I rewritten the numbers around the dials with a marker because the original labels was torn off. I happened to be given a CS1022 scope the same as yours. I have never used one before but wish to learn to use it. It gets power but I get no display at all on the screen. Wondering if you would have any idea where I should start looking to try and repair it. 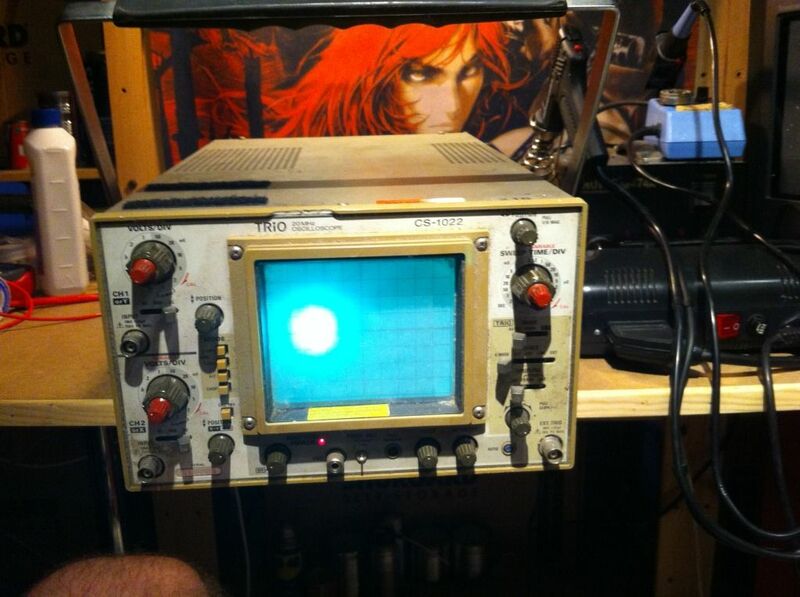 Also is it good enough to perform diagnostics on arcade boards? A CS1022 wil surely be good for arcade diagnostics/repairs. I haven't used any other scope until it died on me. Unfortunally I have no idea as to how you should start repairing it, if it is broken. But I wish you good luck in doing so, and please report back on your progress.